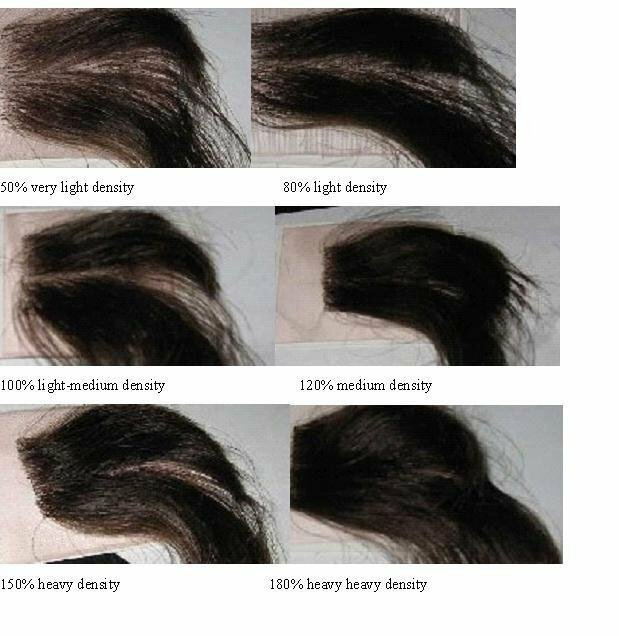 Density is defined as how thick or thin you want your hair to be. The standard density is 120% which is Medium Density. however, your choice will depend on your styling preferences and individual profile. Most women achieve a natural appearance with medium density.Our stock full lace wigs and lace front wigs default to 120% density and we can add extra hairs to 150% and 180% density in 3-4 working days .